Over the weekend I made a new festive Pumpkin Pie Frappuccino while playing around with the new Keurig 2.0 K500. As a Walmart mom I had the opportunity to review the new Keurig machine and share my results with you. 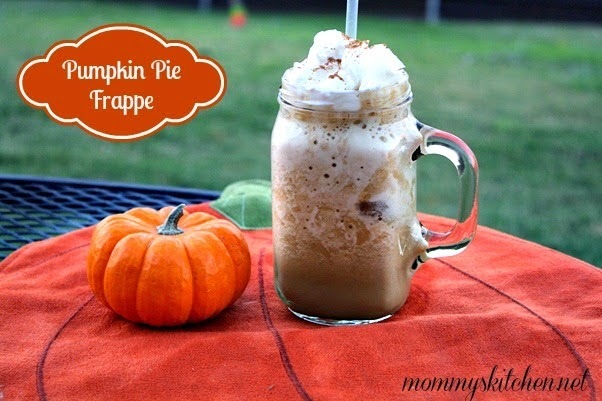 Stay tuned at the end of this post where I will be sharing the recipe for yummy pumpkin inspired frappuccino. Are you a huge coffee lover? If you are then I'm pretty sure you've heard all the hype about the new Keurig 2.0 K500 that brews not only a single size cup of coffee, but also brews up to a 5 cup carafe. This immediately peaked my curiosity when I first heard about it. My husband and I both love our coffee and we currently own the Keurig Elite Model. We have been really happy with our current model, so I wasn't sure if changing over to the new Keurig 2.0 was a good option or not. Well, recently I had the chance to check out the new 2.0 model and share my thoughts with everyone. Will it stand up to all the hype? Lets find out. I can say right out of the box the new model is a lot sleeker and fancier than our current model. I love the new digital touch screen display, the larger detachable (80 oz) water tank, and it's really simple to set up and operate. The whole reason I own a Keurig is because of it's convenience. During the week a single cup of coffee is all we need to get us out the door, so the Keurig cups are the perfect option. When it comes to the weekends that's a whole different story. I usually consume 2 or more cups of coffee and it's the same for my husband. Having a Carafe option is a great alternative to the single k-cups. The new Keurig 2.0 comes with a plastic carafe that allows you to brew up to a 5 cup carafe with the same ease and convenience of brewing a single cup of coffee. This works out great for us on the weekends or if we have overnight guests. I love the new customizable night light in the water reservoir as well as on the digital screen. Choose a color selection, white, red, blue or green to match your kitchen or personalize to your taste. My kitchen is red, so I set my night night color to.......... you guessed it RED! After setting up the coffee maker enjoying your first cup of coffee is easy! Touch the start button at the bottom right of the touch screen. This will turn the machine on and preheat up to 10 oz of water. Once the machine is preheated it's ready for brewing. Select your cup size (4, 6, 8 or 10 oz) by using the up and down arrows on the touch pad. You can also choose if you want a strong cup of coffee by selecting the "strong" selector. This is great option if you like your coffee stronger, or if you want to use it in a coffee recipe like I did for the Pumpkin Pie Frappe. Lift up the handle place a approved Keurig K-Cup inside, close the lid, and push the black Keurig Logo to start brewing. The machine will automatically stop when brewing is complete and has dispensed the correct amount of coffee. If coffee isn't for you the Keurig 2.0 will also dispense up to 6 ounces of hot water for tea or hot cocoa. If you would like to brew an entire pot of coffee just remove the bottom tray and place the carafe in the carafe slot of the machine. Select how much coffee you would like to brew (2-3 cups, 3-4 cups or 4-5 cups). If you would like to save your settings just touch the ♥ picture on the screen and it will automatically save the carafe selection size for future uses. Insert one of the larger carafe sized k-cups into the machine (it will automatically adjust to accommodate the size of the carafe cup). Close the lever down and brew. The machine will automatically stop when brewing is complete. In my opinion the plastic carafe that comes with the 2.0 machine does the job, but the coffee doesn't really keep the coffee warm. Currently Keurig makes a vacuumed sealed Stainless Steel Carafe (sold separately) for $24.99. I think this is a much better option and a good investment. When I used the stainless steel carafe the coffee stayed warm for up to one hour. Another thing to keep in mind is the new Keurig 2.0 machines only accepts the K-Cups manufactured by the Keurig Company. The K-Cups must have the white specialized logo coding around the top of the cup to work. What does this mean? well if you still have a stash of older Keurig K-cups or other brand k-cups they will not work with the new 2.0 machines. You also cannot use the store purchased device that holds your own coffee grounds like in the other Keurig machines. Click here for more information on the new lid technology. If you try to use one of the non Keurig Brand K-cups the machine will not work. What you will get is an error message that pops up on the display screen stating "Oops this pack was not designed for this brewer. This is kind of a draw back for me as I use all different brands as well as store brand pods in my current Keurig machine. Since I still have so many non Keurig brand k-cups in my pantry I will be using my current machine until all the older k-cup are used up. Then I will switch over to the new machine. After using the the new 2.0 machine for over a week I can honestly say that I do like it. This Keurig machine isn't for everyone and is most certainly geared towards consumers who don't mind paying a little more for a cup of coffee. If you are Keurig brand loyal and don't mind paying more when it comes to k-cups than this machine is most definitely for you. 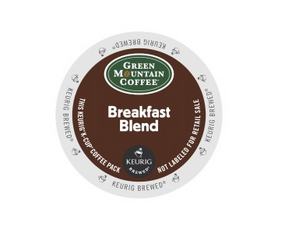 If you prefer store brand k-cups than this machine really isn't for you as it requires special k-cups. I love the new carafe and that I'm able to brew more than a single cup of coffee at a time. I like the programmable feature so I can set the machine to warm the water as soon as I wake up. I like the hot water on demand feature for hot chocolate or tea. The new large water (80 oz) tank is a must. 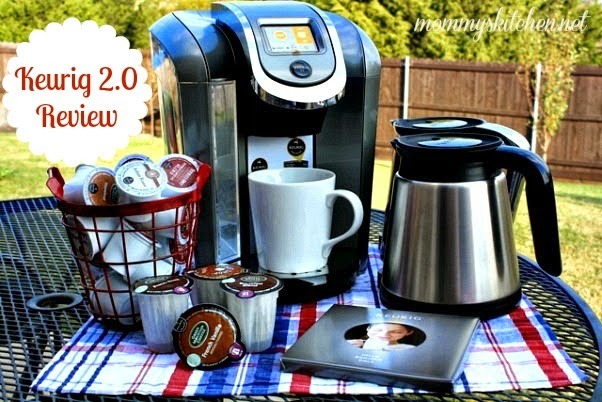 I hope my review has helped you decide if you want to make the switch to the Keurig 2..0 series or not. 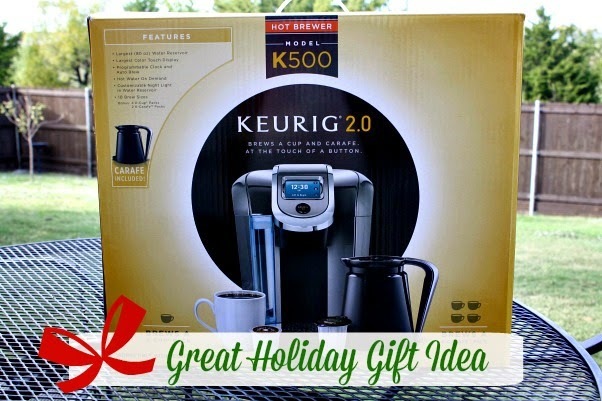 Currently the Keurig 2.0 (K500) is priced at $169.00 at Walmart until October 31st. After that the price will go back up to $189.99. Purchase it now or place it on layaway at your local Walmart. This would be a great gift for the coffee lover in your life. If they already have a Keurig from the 2.0 series consider purchasing the Travel Mug or the Stainless Steel Carafe. 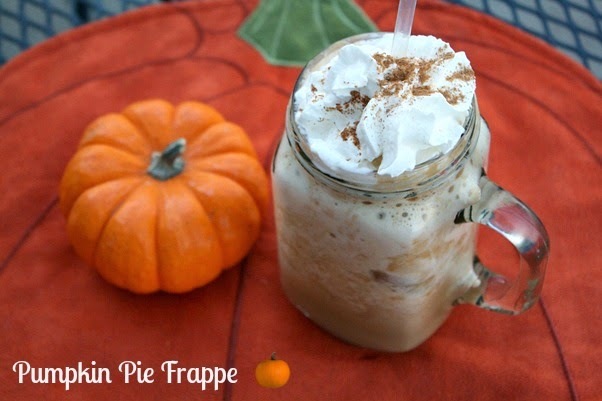 Here is the recipe for the Pumpkin Pie Frappuccino I promised at the beginning of this post. Enjoy! Add all of the ingredients into a blender and blend until smooth. Pour into a glass and top with fat free whipped cream and garnish with additional pumpkin pie spice. The coffee maker looks wonderful. Our daughter has one of the older models but as for me and hubby, we're big coffee drinkers; liking it hot and black and using my 10 cup,1960's Percolator coffee pot. Thank you for sharing this review! We also have an Elite which my husband loves. He has been eyeing this new machine, but I'm not sure it is the best choice for us since he loves to get the k-cups from Dunkin. If they don't work in this machine, maybe we'll just stick with our old one for a while. Your drink recipe looks fabulous! Thank you Jerri! It was delish.